Anthracite coal is also known as hard or stone coal. It has a low ash content with low volatility and a high BTU (British Thermal Unit) content. Remove all solid residues in the hold, sweep clean and flush with seawater. Cargo residues should not be allowed to accumulate, otherwise hold bulkhead staining may result. If the same cargo is carried continually, consideration should be given to hold cleaning after every fifth consecutive cargo. Bituminous coal, also known as soft coal, is usually black, although dark brown grades are found. It exhibits a relatively high level of plasticity, volatility and low ash content, making it ideal for coking. The hold cleaning procedure is similar to that for anthracite coal except that cargo residues should not be allowed to accumulate, and high-pressure hose cleaning is recommended after every second consecutive cargo, unless the ship is on a long-term charter. 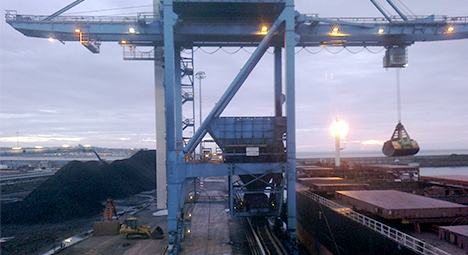 Bituminous coal cargoes can result in hold staining. The holds may require additional cleaning, even with light chemicals, when some cargoes are to be loaded after bituminous coal, such as grains and fertilisers. The use of a prewash to protect the paintwork in the hold could be considered if the subsequent cargo to be loaded is of a sensitive nature, such as grain or fertilisers. Chemical splash suits, chemical gloves, boots, helmet with visor and safety goggles must be worn when cleaning. Check the Material Safety Data Sheet as issued by the producer. Coal slurry are IMSBC Group A cargo. A mixture of fine coal particles and water which is liable to liquefy. Bilge wells to be covered to prevent ingress of the cargo. See IMSBC Code for detailed requirements for shipping. May emit methane and cargo spaces should be tested regularly with natural ventilation carried out as necessary. During the voyage the surface appearance of the cargo should be checked regularly and any signs of liquefaction should be acted upon immediately. Coal - IMSBC Group B (and A). A natural solid combustible material that may create a flammable (and explosive) atmosphere, may heat spontaneously, may cause oxygen depletion and may corrode steelwork. Certain coal cargoes may also be liable to liquefaction Coal may emit methane which can be ignited by a spark (electrical or friction), naked flame, match or cigarette. Methane is lighter than air and is liable to accumulate in the upper reaches of cargo holds and adjacent spaces which might not be gastight. Coal from some areas of the world, particularly some parts of Indonesia, has been found to be prone to self-heating. The IMSBC Code states that coal should not be loaded if its temperature is above 55°C as self-heating can accelerate rapidly. Self-heating does not usually take place throughout a cargo but in hot spots where there are suitable conditions. Coal stock-piled in the open is more susceptible to self-heating as exposure to rain and wind assists oxidation. This has been found to be a particular problem with coal loaded from barges in Indonesia although the IMSBC Code now addresses this problem by requiring shippers to protect cargo on barges from precipitation and water ingress. 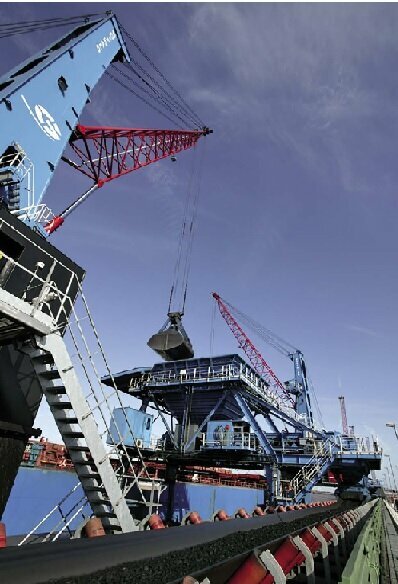 Additionally, it is well worth obtaining advice from the P & I Club, particularly with regard to having access to the cargo for inspection prior to loading. Vessels shipping coal should at all times carry on board instruments for measuring methane, oxygen and carbon monoxide gas concentrations, so that the atmosphere within the cargo space can be monitored. The instrument should be regularly serviced and calibrated so that it can provide the crewmembers with reliable data about the atmosphere within the cargo space. Care needs to be exercised in interpreting methane measurements carried out in the low oxygen concentrations often found in unventilated cargo holds.